This location is very close to Sensoji Temple, and you can see the Tokyo tree. The surrounding food and transportation are very convenient. The key is that the butler and service are in place. Although the room is a bit small, the price is very high, and it is already a very cheap price nearby. We really enjoyed this trip and accommodation, enjoyed a very good service and were very warm and courteous. I look forward to visiting Tokyo again next time. Very convenient location to Sensoji Temple. Very traditional style, has evelator which is a plus. Staff is very helpful, we asked for a recommendation for a restaurant and she gave us a great one very near. Very very well located, couldn’t be nearer to the Senso-ji temple, literally! Room is tatami style with compact wc, comfortable and clean daily, have to compliment the housekeeping for giving a fresh pressed yukata on a daily basis. The only thing I would say is that they should allow residents to bring friends back into the room, not to stay overnight but to be able to catch up properly instead of doing by the reception on ground floor which they provide a space to sit and chat. Overall a pleasant stay, will stay here again! 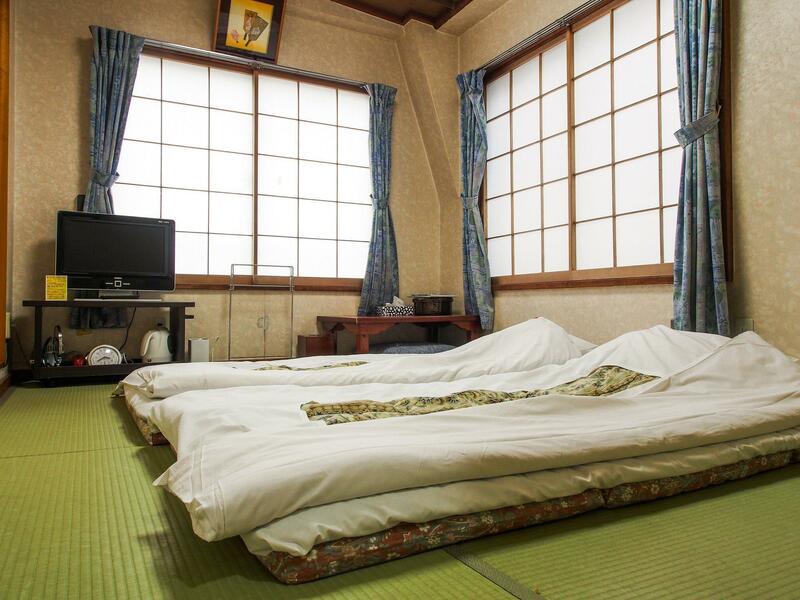 I have nothing but good things to say about this place - the little tatami room I rented was cute and super clean, and the staff were extremely friendly and helpful in spite of the fact that I speak just a tiny amount of Japanese. Asakusa is a good place to stay, with the temple so close by and some nightlife just a little further, and three rail stops within five minutes walk means the rest of the city is very convenient too. The traditional room was small for 2 adults, esp. the bathroom. But the room was clean, good A/C, and staff was very kind to help me call to the Korean air office to change my flight with no extra fee. The location is excellent, inside the Kaminarimon Gate (Senso-ji temple). I booked the hotel in the cherry blossom season, so the price was a litte bit higher than usual. The family that runs this Ryokan (traditional Japanese inn) is so sweet. The rooms are beautiful with mat floors, 6 inch thick mattresses topped with comfortable bedding, good air conditioning, robes, slippers, and tea. You are also just 2 or 3 blocks from Senso-ji Temple, in a large shopping and food market area full of ramen shops, and about .5 km from the metro Ginza line that goes to central Tokyo and other areas. Staff is great. Really loved the pillow and blanket, so nice and cozy. Really close to the market and temple. It's so near to the Asakusa shopping street and Tobu station. I booked single tatami room. It was very spacious, I think can accommodate 2 persons. Nice place to stay, people here so friendly. The best thing about this ryokan was the staff--they were so accommodating and helpful! Like most Japanese hotels, everything you needed was there so you can travel light. Had this place booked for the first 2 nights of our trip around Japan and ended up booking for the last night of our stay as well. It is also a great location! All aspects of this ryokan were very good. The Asakusa area is so inviting and historical. Ryokan Asakusa's rooms are small but tidy, bathrooms fully equipped and staff very sweet and friendly. A great choice for a Tokyo stay. Great service etiquette, small and comfortable and location is convenient. My stay at this ryokan was fulfilling, Yukata and tea bags were provided inside so that we can get to experience the Japanese culture which is interesting. The staff service was really good, they were very friendly when handling our queries. 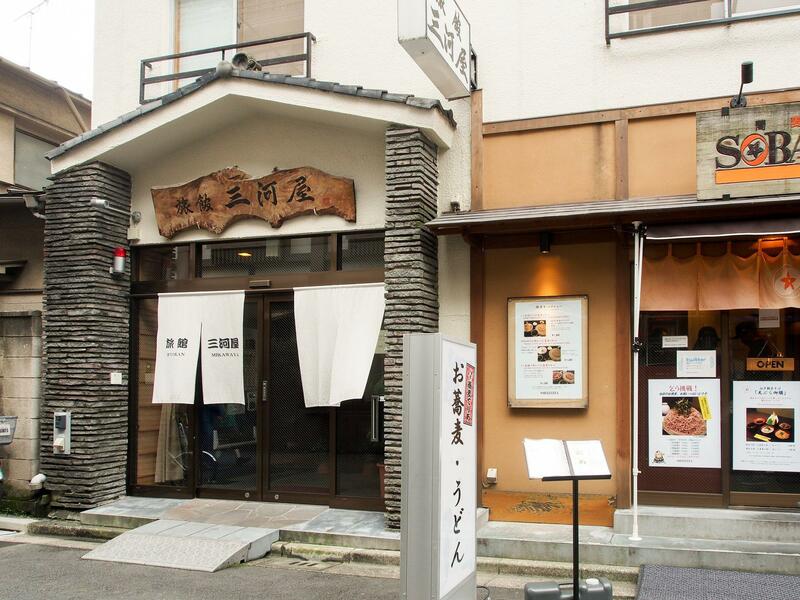 The location is pretty convenient as it is just a short distance away from the famous 'The Gate' at Asakusa. The location was great. It was close to the metro stations. It was right next to the Nakamise Dori. There were a lot of restaurants nearby. The Shrine in Asakusa is nice to visit at night when all the crowds are gone. The room was clean, futon was comfy. The heater in the room worked well. The staff were friendly and helpful. The room was quite spacious and very clean. The side street traffic was a bit noisey in the morning but that just added to the experience. Would definitely stay here again. In fact I wish I was there now.